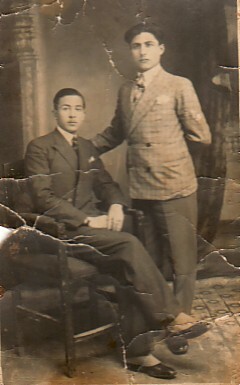 Above: My father, Georgios (seated), with his brother. Circa 1903. Above Right: Lemonia Ladaitzis (holding the child), Mrs Koukoulis, Persephone (my sister) and Efstratia (my mother). The children are Leuki and Efstratios Kaidatzis. Above: Easter Celebrations. 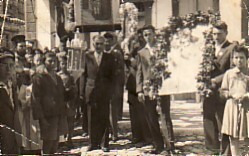 I am holding the icon (left), while Nikos Sofianis is holding the other side. Above Right: In the Police Boys Club, Wollongong, Tony enjoyed Graeco-Roman wrestling. 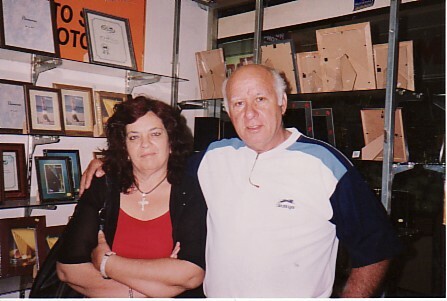 With Ioannis Kalaitzis. 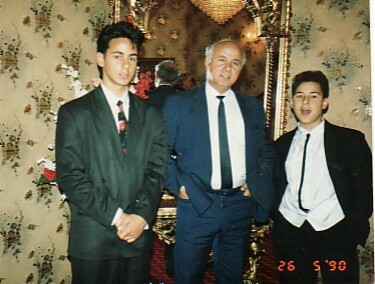 Above: With my sons, Efstratios and Stylianos. Above Right: With my wife, Stella. 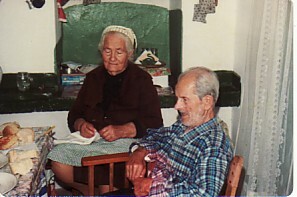 Above: My parents, Georgios and Efstratia. Above Right: Holidaying at Sykamnia. 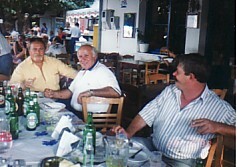 L-R: Tasos Kyriakou, myself and Nikos Zarglis. Above: Wollongong Police Boys Club, 1961. Tony was Junior N.S.W. Champion (1962) , and third in the Junior Australian Championships of the same year.